While living and working in Paris, from 1948 to 1954, Ellsworth Kelly (1923 – 2015) developed an abstract vocabulary of line, form, and color and began is career-long investigation into how figure and ground are perceived in nonrepresentational painting. He became interested in the way that painting engages with the architectural space that it inhabits; rather than attempting to simulate three-dimensional perspective in a composition, he instead considered the wall to be a kind of ‘ground’ and the painting itself a figure on it. 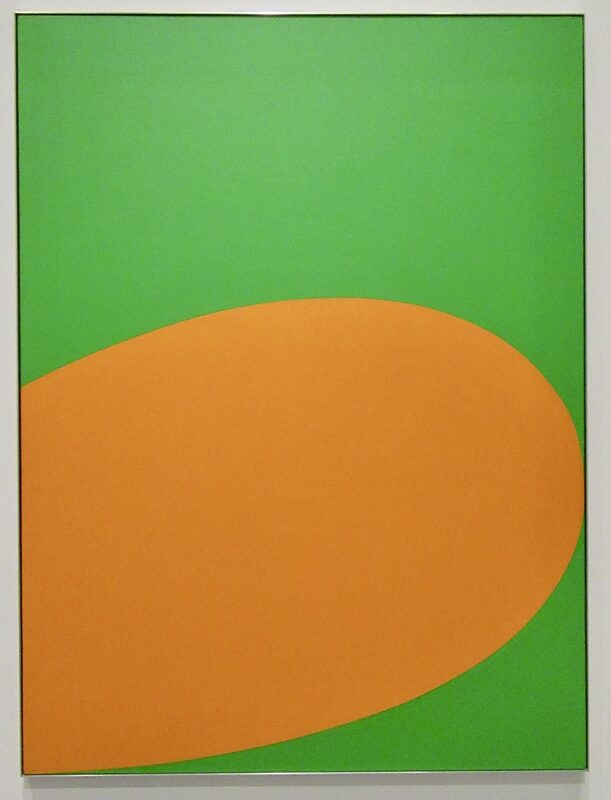 In Orange Green (1964), made the following decade when he was back in New York, he established the figure-ground relationship on the canvas itself through the careful balance of two areas of color: the truncated orange egg-shape is the figure and the bright green color that surrounds it functions as its background. ← Worleygig.com Celebrates Fifteen Years of Web Dominance!